As expected, Ascott Residence Trust's 3Q17 DPU fell 26% y-o-y due to the negative carry from the recent rights issue. Underlying NPI rose 2% y-o-y due to stronger contribution from Europe but partially offset by softness in Japan and the US. Recovery in DPU in 2018 on the back of full year contribution from acquisitions made this year. 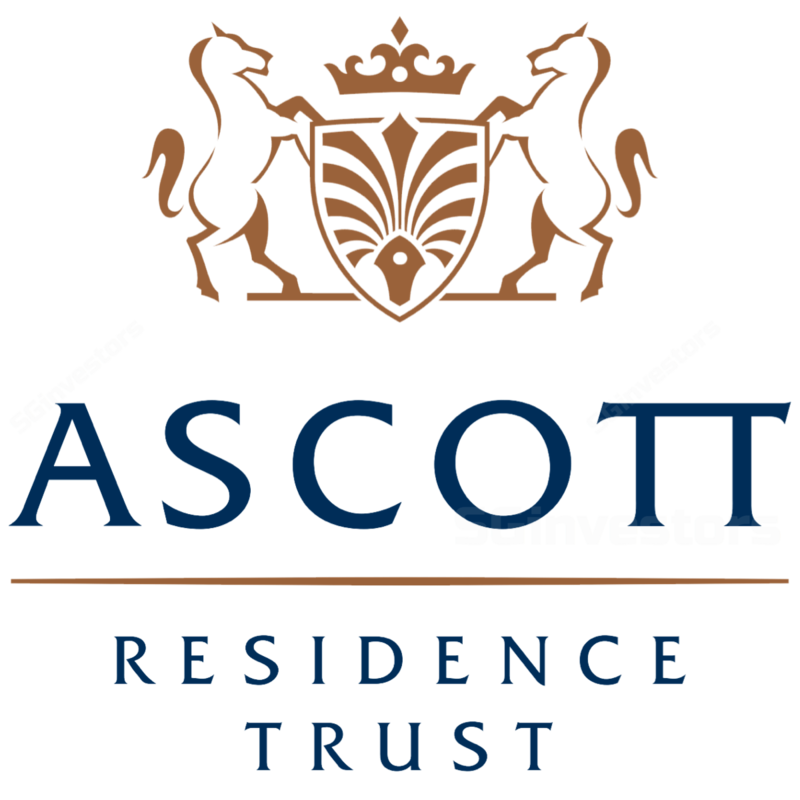 We maintain our BUY call on Ascott Residence Trust (ART) with a TP of S$1.28. We had previously highlighted the removal of the stock overhang – from the completion of the recent rights issue to fund the acquisition of Ascott Orchard Singapore – as a re-rating catalyst. While ART has since rallied by over 10%, we believe the rally still has legs. With the Singapore hospitality market expected to recover next year, based on historical correlations, the positive sentiment on the sector should lift all boats including ART. Where we differ – Ability to crystallise book value. Consensus has a HOLD call with an average TP below ART’s book value, given concerns over the near-term decline in DPU. However, in our view, this has already been well flagged and we believe the more critical factor that would drive ART’s share price is the trust’s more aggressive execution over the past year of selling properties that have limited growth and recycling the proceeds into better-yielding assets. This ability to sell its properties above book value, and at the same time reduce its reliance on equity raising to drive growth, we believe, warrants ART to trade around its book value as implied in our TP of S$1.28. We have forecast two-year DPU CAGR of 3% over 2017-2019. We maintain our DCF-based TP of S$1.28. With 5% capital upside and c.6% yield, we retain our BUY recommendation. The key risk to our call is potential oversupply in ART’s key markets as well as impact from forex volatility. These risks are mitigated by ART’s diversified portfolio, with no country contributing more than 20% of the group’s net property income. 3Q17 DPU fell by 26% y-o-y (after adjusting 3Q16 for the impact of the recent rights issue) to 1.69 Scts. This was expected given the negative carry from an increase in the number of units outstanding from the recent rights issue but without the contribution from Ascott Orchard Singapore whose acquisition was only completed on 10 October 2017. Stripping out the one-off realised exchange gain in 3Q16 and impact from the rights issue, adjusted 3Q17 DPU would have risen by 1% y-o-y to 2.18 Scts. Driving the improvement in underlying DPU was a 2% yo-y increase in 3Q17 NPI as ART benefited from the acquisition of Citadines City Centre Frankfurt, Citadines Michel Hamburg and DoubleTree by Hilton Hotel New York as well as 1% y-o-y increase in overall revenue per available per unit (RevPAU) to S$146. Owing to a stronger EUR versus SGD, contribution from European operations (24% of 3Q17 gross profit) rose 21% y-o-y. Beyond the FX tailwind, the properties in Belgium bounced following the impact from terrorist attacks in 2016 (gross profit in EUR jumped 75%), while the Spanish portfolio benefited from higher leisure demand and retail income (gross profit in EUR jumped 29%). Contribution from Germany rose 62% primarily from the acquisitions made earlier this year. Meanwhile, the Chinese operations (10% of 3Q17 gross profit) showed a turnaround in performance with gross profit in SGD terms increasing 27% y-o-y. This was primarily due to stronger performances in the properties located in Tier 1 cities, impact from the refurbished apartments at Somerset Xu Hui Shanghai and reversal of prior accrued expenses. Overall RevPAU rose 5% y-o-y. The US operations (10% of 3Q17 gross profit) had a healthy quarter, with NPI rising 5% y-o-y in SGD arising from the purchase of DoubleTree by Hilton Hotel New York Times Square South in August. Nevertheless, on a same store basis, gross profit would have fallen 14% y-oy. This was because of higher property taxes as well as impact of new supply which resulted in RevPAU dropping 7% y-o-y. With a stronger AUD, gross profit in SGD terms from the Australian portfolio (8% of 3Q17 gross profit) rose 9% yo-y. However, underlying performance in AUD terms was steady as weakness in Perth offset the more buoyant Melbourne market. Japan, the second largest market for ART (13% of 3Q17 gross profit), had a weak quarter with gross profit falling 24% y-o-y in SGD terms and 19% y-o-y in JPY terms. The decline was largely due to the divestment of 18 rental housing properties earlier this year. In addition, RevPAU was down 7% y-o-y to JPY 11,145 due to increased competition from new hotel supply as well as the emergence of AirBnb. Meanwhile, NPI contribution from Singapore (8% of 3Q17 NPI) was down 10% y-o-y as the Singapore properties faced weaker corporate demand as well as impact from an increase in supply. Consequently, RevPAR for properties under management fell 10% y-o-y to S$183. The UK operations suffered with NPI in SGD terms falling 6% y-o-y primarily due to the impact of higher property taxes and market expenses. A weaker GBP was also a drag when translating earnings to SGD. However, a weaker GBP drove an increase in visitor arrivals and leisure demand which translated to RevPAU in GBP terms rising 5% y-o-y. Following the recent rights issue, asset disposals and acquisitions, gearing stood at 31.9% as at end September. However, we expect gearing to rise to 36- 37% once ART completes the acquisition of Ascott Orchard Singapore in October. Average cost of debt was stable at 2.4% with the proportion of fixed-rate debt rising slightly to 87%. On account of FX movements, NAV per unit (excluding distributions) rose to S$1.22 from S$1.19. With DPU being reset following the recent rights issue, we believe ART’s DPU should be a recovery path. This will be mainly driven by the full year contribution from the acquisitions made earlier this year as well as a recovery in the Singapore hospitality market, partially offset by potential weakness from the Japanese and US operations which face a greater amount of competition from Airbnb and increase hotel room supply. All in we project, ART to deliver a DPU CAGR of 3% over the coming two years. With 3Q17 results largely in line with expectations and ART offering an expected 12-month total return of over 10%, we maintain our BUY call with a TP of S$1.28.